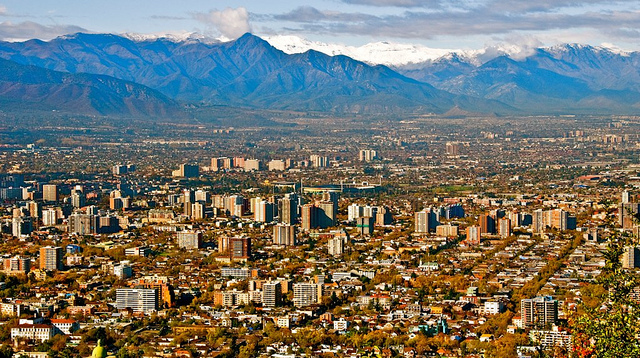 Santiago, Chile will host the 12th International Conference on Advanced Systems for Public Transport. Photo by croc_star. The Department of Transport Engineering and Logistics at the Pontificia Universidad Católica de Chile is organizing its 12th International Conference on Advanced Systems for Public Transport. The conference will take place in Chile on July 23-27, 2012 and will serve as a forum for the international community of researchers, practitioners and vendors on all aspects of public transport planning and operations. The conference hopes to instigate productive collaboration between participants from academia, business and government, as well as encourage the generation and presentation of new ideas in advancing public transport. As part of the conference, organizers are seeking extended abstract submissions of about 1,000 words with figures, tables and references. If selected, contributors can submit a full version of their paper, which in addition to being presented at the conference, will be considered for publication in the Public Transport Journal. The extended deadline for PDF submissions is June 26, 2011. Read here for instructions for authors. The conference has been previously held in Hong Kong, China; Leeds, England; and San Diego, USA.